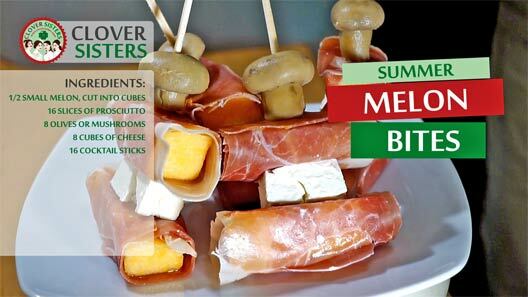 Summer, sea side and delicious melon bites enriched with prosciutto, mushrooms and cheese. What more can you ask. 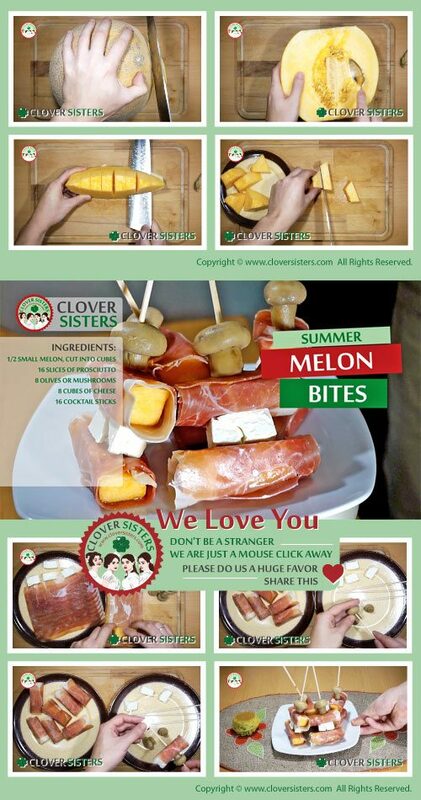 Wrap prosciutto slices around the melon cubes, add the olive or cheese cube on the top and secure with the cocktail stick.